AverageBro: WorkPlace 101: Can You Get Fired For A Facebook Like?!? WorkPlace 101: Can You Get Fired For A Facebook Like?!? We've covered Social Media faux pas in the past here, but this case is making national news, so why not revisit the debate? A Virginia sheriff's deputy has been fired for liking his boss's political opponent -- on Facebook. Now Daniel Ray Carter Jr. is fighting back in court, arguing that a "like" should be protected by his First Amendment right to free speech. It's a case that could settle a significant question at a time when hundreds of millions of people express themselves on Facebook, sometimes merging their personal, professional and political lives in the process. According to court documents, the case began when Sheriff B.J. Roberts of Hampton, Virginia, fired Carter and five other employees for supporting his rival in a 2009 election. Carter's offense? Clicking the omnipresent Facebook thumbs-up to follow the page "Jim Adams For Hampton Sheriff." Roberts, of course, won re-election, leading to the firings. 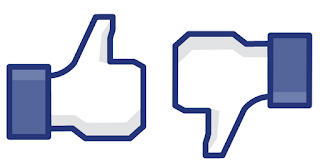 Free-speech advocates argue that the "like" should have been clearly protected by Carter's right to freedom of expression. But a U.S. District Court judge in Virginia ruled differently saying, in effect, that free-speech protections don't kick in when someone doesn't actually say something. Barry believes if the appeals court upholds that judgment, it could make it much easier for employers to clamp down on their workers' speech on social networks such as Facebook and Twitter as well as on personal blogs and other sites. Sorry, but this has nothing to do with protected free speech. Period. This is all about common freakin' sense. Namely, you don't support your boss' opponent when your boss is up for re-election. And if you are, you do so privately. You certainly don't leave a cyber-trail online? That's just silly. Most workplaces have social media policies. My job's policy pretty much says "do whatever you want online, just keep our names out your mouth." It's really that simple. And this guy would still have his job had he not broken the most sacred of workplace rules. 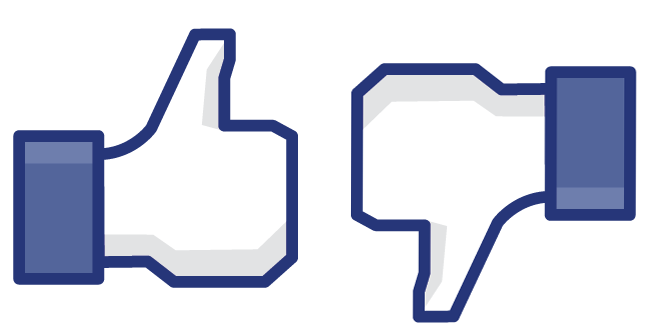 Question: Should Facebook likes or Retweets be protected free speech? Did this guy deserve to get canned? Do you think about how your online activities could effect your employment?